Had some fun with this one. 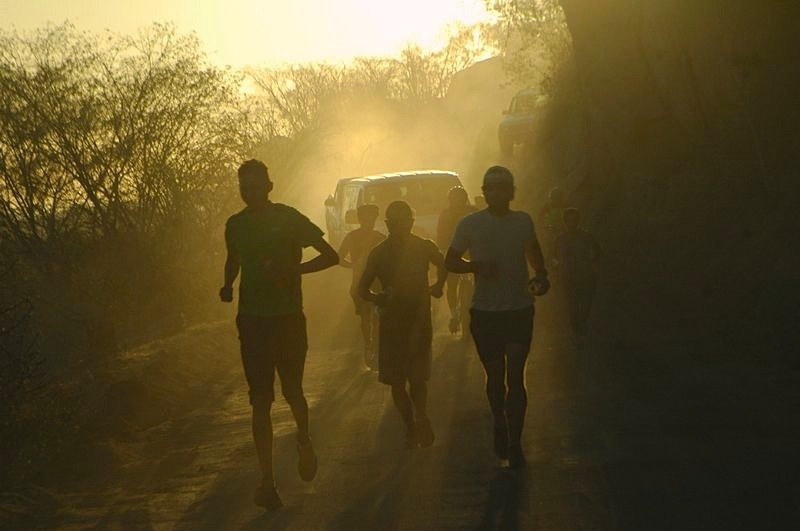 Currently collaborating with Mexican editors to finalize a short documentary film (July 2013) about the 70-Mile Protest Run in Baja against open-pit mining in the Sierra de la Laguna Mountains. Here’s a teaser to snack on in the meantime. Only had a few of the clips to play with. Full media coverage list below, too. Disfruta. Off tomorrow to Colombia for some revolution in Bogota and Spanish school in Cartagena. On April 6th, I organized a 70-mile crossing of the Baja Peninsula on foot, to protest US-Canadian companies planning to open-pit gold mine the Sierra de La Laguna Mountains. It was one of the most difficult, powerful and moving days of my life. Here’s the full story. It’s 9pm, and I am lying in the Pacific Ocean. Fully clothed. Salt water sinks cold fangs into comprehensive chafing around pits and crotch. Like being stung by 5,000 box jellyfish. Breath is robbed at gunpoint by powerful surf rolling over sun-scalded neck and seizing legs. It doesn’t matter anymore. It just doesn’t. It doesn’t because the pain is drowned out by a rising tide of absolute bliss. The kind of bliss generated from having just run across the entire width of the Baja Peninsula. In a day. 70 miles. 18 hours. Up and over a mountain range. Highway miles, mountain miles, sand miles. Joined by dozens, supported and followed by thousands. First-ever recorded attempt. All to save a mountain range. All to ally with wild space instead of profit. All in defense of wildness. And in a moment, it is over.